The wheel of the rover not directly connected to the body of the rover, instead using an extension that can be adjusted. 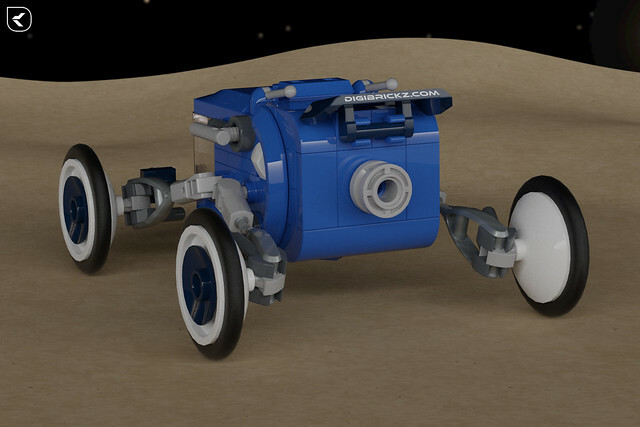 The rover consists some of flying or floating part, but I’m pretty sure it can be hold by gravitation if it created in real life. 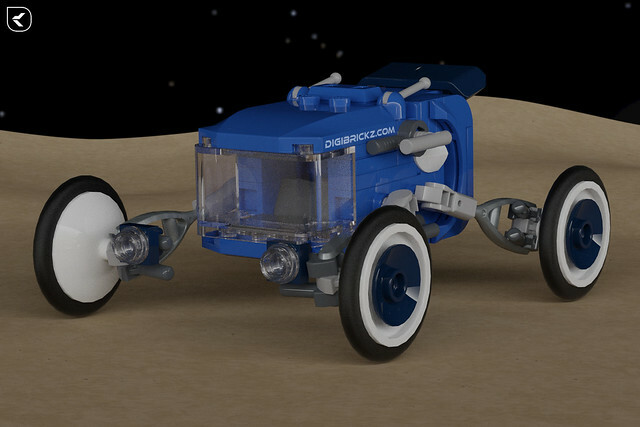 Sadly, it can’t fit any minifigs as a small scale rover. Here’s a back or rear view of the rover, there’s a thruster and spoiler as a speed and aerodynamic issue. Rendered using Blender. The scene setup is almost same as my FebRovery Rover Van, but using a different terrain. And the scene may darker than my latest creation, that’s because I want to create the lighting as close as real space planet scene, hope that’s okay (not too dark). Related Posts of "It’s Boxy, but not a bad shape for racing"